SPOILER ALERT - for the film "Sunshine". DO NOT READ ON IF YOU DO NOT WANT TO KNOW THE ENDING. This particular Gospel passage is one of my favourites. I've always been very fond of Peter's story and in particular this part, the culmination of the Gospel story and the prelude to his mission as an apostle or messenger of Jesus. In that sense it is also a pivotal moment in his life and in hindsight, the life of the Church. Jesus carries out a wonderful act of mercy that brings inner healing to Peter and sends him to "Feed my lambs" and "Follow me" (the healing coming through the threefold question "Do you love me?" in response to Peter's threefold denial of Jesus in the Temple). This is a version of a page that already exists on my web site, where I give a personal testimony about my vocation as a De La Mennais Brother. It was adapted and partly re-written for Vocations Sunday on the 4th Sunday of Easter for use in vocations resources. ******************************My vocational journey began when I was in my mid-teens, as a feeling that God was asking me to give my life to him in some way. I didn’t know how at that point; whether it would lead me to the priesthood or the religious life. Through personal prayer and a variety of experiences and encounters over the next few years, I began to feel God pointing me towards life as a teaching Brother and, in particular, towards the Brothers who ran my school (the De La Mennais Brothers). I simply had to say “Yes” to him and trust that he would guide me on the path ahead, because I had no idea where this was going to lead me. On pilgrimage to Santiago de Compostella with my good friend, Bro. Henri Rivoalen in 1999. "Joyfully and light-heartedly undertake the journey of adventure through life, love and death. And rest assured that if you stumble, you will never fall lower than God's hand (reaching out to catch you)." I'm sitting in the semi-dark of the Abbey Church at 10.50pm. 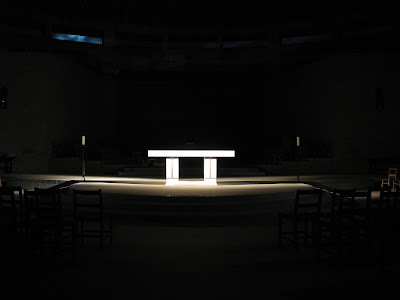 There is a single spotlight illuminating the white stone altar. I've had a wonderful day in the company of the Compass Points vocations discernment group, having talked to them about my life this morning. Tonight we watched "Babette's Feast" together. I'd forgotten (or rather not realised until now) what a beautiful film it is. instant. You have helped me carry my cross. I want to help you carry yours because I love you. Last summer ('06), I took part in the annual National Vocations Forum at the Benedictine monastery of Worth Abbey in Sussex, location for the highly successful BBC TV series "The Monastery". About 40 people took part, including other religious (such as my De La Salle friend Bro. Ben Foy), priests and lay people, all of whom work in some way for the development of vocations. It was a wonderful time of shared experiences, wisdom and support, skillfully facilitated by Abbot Christopher Jamison of Worth. Oops...!! The following should of course refer to God, not Jesus. Sorry. 'Twas written late at night! "the death Jesus (God) says Adam and Eve will undergo if they eat from the tree of knowledge of good and evil should be interpreted as a spiritual death." MySpace deabte with a former SFX pupil (cont.).. Thanks for the message, Last Man... have tried to work out who you are. Found a "Phil" in one of the comments on your page, but that doesn't get me much further. Anyway, thoughtful comment of yours. I'll do my best to answer briefly from my point of view some of your points. Further reflexions I'll put on my blog. 1) God did not kill Jesus. Human beings given the gift of free will chose to kill him to suit their ends... out of fear, fear of the truth about themselves that he exposed. 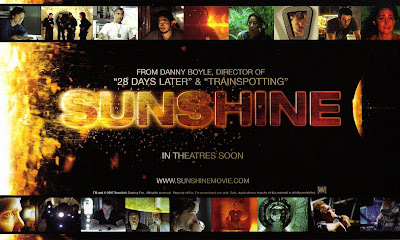 Here's an article by film guru Mark Kermode about a new film I saw the other day: "Sunshine" by Danny Boyle (he of "Trainspotting", "28 Days Later" and the wonderful "Millions"). Kermode, always quick to point out possible spiritual themes in the films he reviews, does so here with an interesting analysis that I hadn't considered myself but will have in mind when I go to see the film again next week. 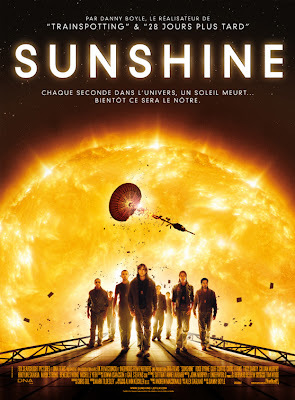 One of the most exciting British movies this year is Danny Boyle's sci-fi epic, Sunshine, which puts the divine back into a genre that had lost its way. To film-makers, it seems, the infinite has a spiritual attraction. This was the first time our group of 13 young people met the 70 or so French participants and our last training event before setting off for Togo on July 9th. We'll be meeting amongst ourselves in Liverpool after Easter to clarify which activities we want to use with Togolese children we'll be working with in 2 different places during the trip (a secondary school and the nursery attached to a village agricultural centre). And we'll also be undertaking some fund-raising events to buy equipment that we'll be bringing out (eg. sports, audio-visual...)and leaving with our hosts for them to keep. A couple of photos from the initial training day in Liverpool for which one of the Brothers’ Youth Ministry team, Pierre-Jean Bar, came from France to work with us. Some of our lads getting very involved in the trading game we did as a way of exploring issues relating to the inequalities in world trade.Simon taking his life in his hands (and putting it in ours! ).